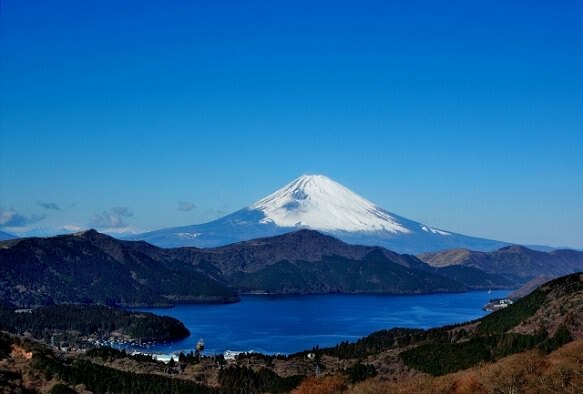 Cruise on Lake Ashi provides a beautiful view of Lake Ashi, a lake formed in the caldera of Mount Hakone after the volcano’s last eruption 3,000 years ago. 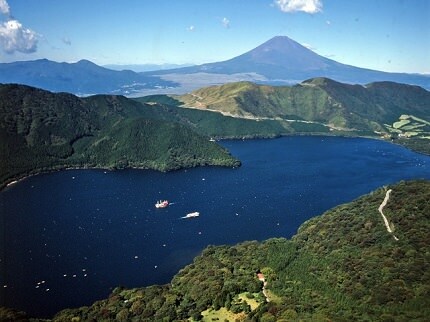 Today, Lake Ashi is often pictured with Mount Fuji in the background as a symbol of Hakone. The best views of the lake in combination with Mt. 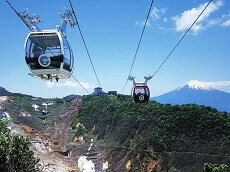 Fuji can be enjoyed from Moto-Hakone, Hakone Detached Palace Garden, and from sightseeing boats cruising the lake. 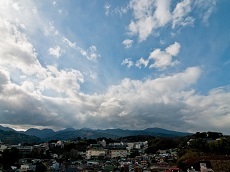 Note however, that clouds and poor visibility often block the view of Mt. 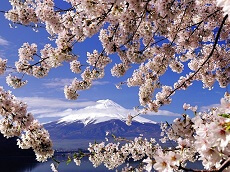 Fuji, and you must consider yourself very lucky if you get a clear view of the mountain. Colder seasons and early mornings and late evenings often provide better views of the mountain. A boat cruise from one end of the lake to the other takes roughly 30 minutes. At the northern end of the lake, the Hayakawa River runs through Miyanoshita. The tranquilizing boat cruise is included in our most tours at Japan Deluxe Tours. A boat cruise from one end of the lake to the other takes roughly 30 minutes. At the northern end of the lake, the Hayakawa River runs through Miyanoshita. 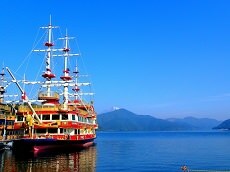 The tranquilizing boat cruise is included in our most tours at Japan Deluxe Tours.